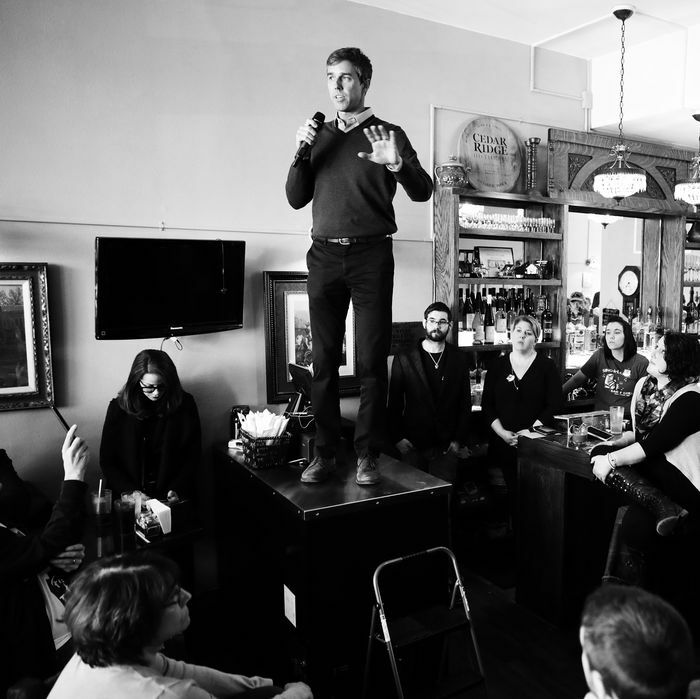 Folks, he’s back at it — 2020 candidate and six-foot-four man Beto O’Rourke has once again climbed up onto a café counter, as in a surface on which people eat food and drink beverages, to address an audience. For what feels like the tenth time in recent memory, the “punk” presidential candidate climbed onto a counter on Monday. This particular one was at Narrow Way Cafe in Detroit, Michigan, where he presumably talked to the room about his platform, whatever that may be. As to why he does this, it’s unclear; it’s especially perplexing when you consider how much sheer bafflement he has drawn on social media for the habit. Though we may not know much about what inspires O’Rourke’s actions, we do know one thing for certain: He really can’t stay off the damn counter. And seeing as we’re still more than a year and a half out from the presidential election, regardless of how far he goes, we can know that the future contains an interminable number of opportunities for him to clamber up on the functional, central surface of a restaurant or coffee shop with his shoes on. This is going to get these restaurants a visit from the Health Department!